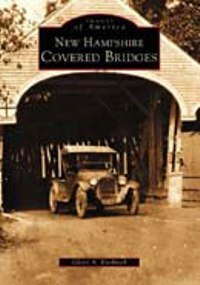 New Hampshire Covered Bridges, by Glenn A. Knoblock, 2002. Arcadia Publishing collection of vintage photos depicting the covered bridges of the Granite State, including those still standing and many that were destroyed by fire or flood. Historical caption for each photo. 128 pp, 6 1/2" x 9 1/4".